Bermuda’s unions will be issuing a statement later today in response to Government confirming that it is no longer seeking any legal recourse over PRC holders being allowed to apply for status. Ed Ball, Bermuda Public Service Union general secretary, was on the Sherri J show on Magic 102.7 this afternoon. Sen Fahy added: “Immigration records indicate that 1,455 PRCs are potentially eligible for status under Section 20B of the Act. "The Government will allow the legislation passed by the previous government to stand because it is the right and compassionate thing to do. The people in question have been living and working amongst us for at least 25 years – having lived in Bermuda since on or before 31st July 1989. This is the key date which is why the number of persons eligible is so definitive. “They have invested their lives in the island. They have contributed to our collective well-being, enriching the Island’s social and economic fabric. They have helped us compete in a very competitive world. “Surely, as Bermudians, we can open our arms and welcome them as fellow Bermudians, and see this decision as something that will add to our life in Bermuda, not diminish it, as some want people to believe." Mr Ball said he got in touch with Bermuda Industrial Union president Chris Furbert after the BPSU started to receive phone calls that they should march on Government over PRC’s being allowed to become Bermudians. Mr Ball said: “The unions are weighing in on it. There will be a statement today. Mr Ball said there are several issues affecting the membership, including the Public Service Reform Bill. Mr Ball added since Government is no longer seeking to fix the PRC status loophole through the courts, they are “going to have to change the legislation”. The statement this morning has outraged some. 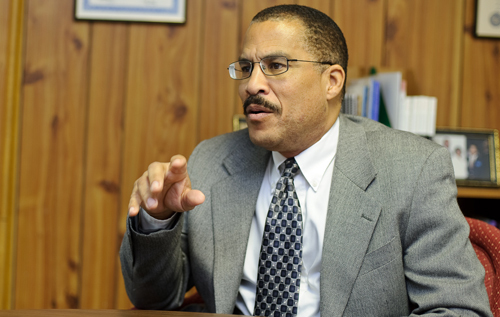 Columnist and PLP member Christopher Famous to the Bermuda Election 2012 page calling it a “war on Bermudians”. And Pastor Maria Seaman said on the page: “This is not right. This is not good. They are not fellow-Bermudians, just as I stayed in America for 50 years, I would not be a fellow-American. Cannabis reform advocate Alan Gordon, in that discussion, said he is “torn on the issue”. On the one hand he feels the OBA should stop blaming the PLP for creating the loophole and if they mean to allow PRC holders to get status, than they “should do it expressly by changing the statute”. However, many in the PRC community, on Facebook, are welcoming the move. Which party would gain more from giving status to 4,000 PRC holders? PLP wants to ensure PRC status "never becomes a reality"